Our expert veterinary doctors, and skilled staff, are ready when your pet needs us. Call or contact us today to learn more. Jessica came to Hidden Valley Animal Hospital in January 2019 from Quail Corners Animal Hospital. Although she is new to our practice, she has been working with the company since 2004. A graduate of NCSU, she has her BS in both Animal Science and Business. What a great combination for a practice manager! Born in Iowa City, Iowa Jessica relocated to North Carolina in her early childhood and has been in the area ever since. Settling down and starting a family, Jessica and her husband Josh are the proud parents of a young son and daughter as well as two fur babies. When Jessica finds a bit of time between kids, dogs, and being active in her church she does enjoy reading. 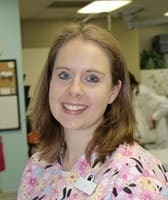 Sarah Jane joined the Hidden Valley Animal Hospital family in 2009, having received her Bachelor’s in Biology from NCSU. Growing up with a dad in the army, she has lived in many interesting places including Maryland, Wisconsin, Washington State, North Carolina and even Germany! Her favorite part of working at Hidden Valley is getting to interact with animals and their owners and being a part of great team that honestly cares about their patients. When she's not at work, she enjoys making music with her husband, drinking coffee, and hanging out with her two cats, Hazel and Mocha, and her sweet dog, Cider. 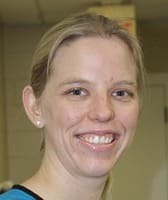 Joy grew up in Durham, North Carolina and joined the Hidden Valley Animal Hospital team in 2007. She enjoys being able to help pets live long and healthy lives through preventive care. She owns three pets including: Blue, a lab mix; Wallie, a domestic short-haired cat; and Sterling, a domestic short-haired cat. When not at work, you can find Joy either shopping or working in her yard. Sylva has been with Hidden Valley Animal Hospital since 2004. She enjoys learning from actual cases and information that the doctors share with the team about our client’s diagnosis. Each doctor has a different way of explaining and is very generous in doing so. In her free time, Sylva enjoys visiting her grandchildren as well as drawing and sketching. 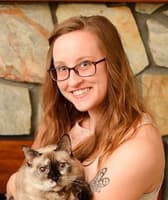 Lindsay has been with Hidden Valley Animal Hospital since September 2007 and brought with her a background in Biology with minors in Animal Science and Genetics from NCSU. Her favorite aspect of working in Veterinary Medicine is the knowledge, quality time with pets and support system of veterinarians and co-workers that she has developed since joining our team. She owns four pets including: Addie, a Great Dane; Tohr, a Great Dane; Cooper, a domestic short-haired cat; Ayda, a domestic short haired cat and foster dogs galore! She also owns her own business, Great Dame’s Pet Care. 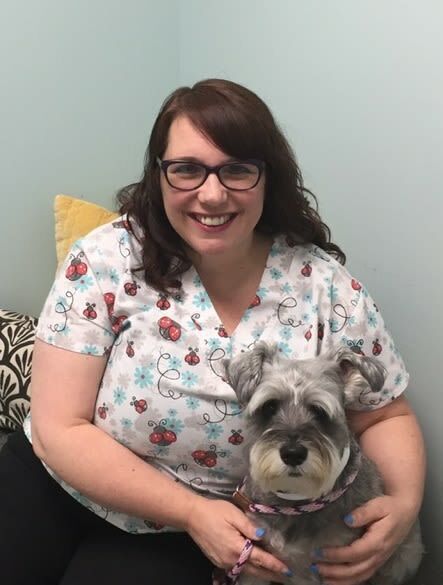 Bettie joined Hidden Valley Animal Hospital in January 2008 and believes that caring about our clients and their pets is more than a job, it’s a passion. She earned a B.A. in Phycology and a minor in Cognitive Science from UNC as well as a B.S. in Biological Sciences from NCSU. She and her husband have six furry children including: Gracie, a hound mix; Chippy, a Pomeranian; Turtle; Shadow; Pickle; and Buster. When not working, she enjoys baking, singing, reading and completing Pinterest projects. She also performs in an a capella group and bakes and decorates cakes on the side. Ruth Ann Eller Belote joined the Hidden Valley Animal hospital as a client care specialist in October, 2016, but has been a client since 2011! Her educational background is an Associate degree in Applied Science Veterinary Technology. Growing up, her father was a veterinarian, so it has always been a big part of her life. Currently, Ruth Ann lives with her husband, three children, two dogs: Noodle and Pippy, and a small clowder of older kitties. She also has 7 bonus children around the country, so there is no shortage of family and love! Alison came to Hidden Valley Animal Hospital in 2018 after moving to Raleigh from New Jersey. She grew up in Point Pleasant New Jersey. With two daughters and two dogs to pall around with Alison always has something to do. She enjoys movies and outdoor festivals. Her dogs are Butch and Old English Bulldog and Gauge a Weimaraner/Greyhound mix. Alison has been a vegetarian for 27 years and enjoys making vegetarian versions of comfort foods. Stacy has been with our hospital since 1999, when she worked in the kennel during high school. She attended NCSU for one year for pre-vet and then enrolled in Veterinary Medical Technology at CCCC, where she graduated in 2005. She and her husband, Garrett, have twin sons Bryan and Troy, both three years old. They also own three four-legged family members; Cyrus, a Boxer/Bulldog; Memphis, a Pit-bull; and Shelby, a Pit-bull/German Shepard. When not working, she enjoys cooking, fishing and hiking. Ellen Hayes started at Hidden Valley Animal Hospital in 2016, joining the team as a Veterinary Technician. Ellen grew up in Raleigh, NC and earned her Associates degree from Central Carolina Community College. 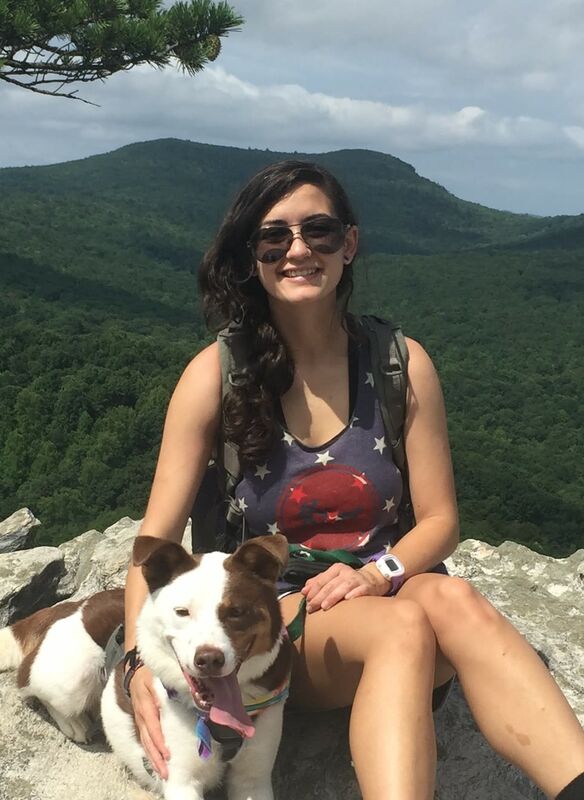 Her favorite part about working in the veterinary industry is getting to help animals, and also learning everything she can about the biological aspect of veterinary medicine. When not at work, Ellen can be found playing with her black lab mix, Casey, practicing her musical talents, studying, or caring for her younger brother, Joshua. 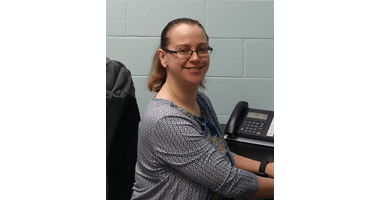 Linda grew up in Poughkeepsie, NY and graduated from Dutchess Community College and obtained an Associate of Applied Science in Criminology. She then attended Central Carolina Community College and earned an Associate of Applied Science in Medical Veterinary Technology in 2007. 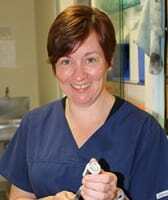 With a passion for working with animals and helping during surgeries, Linda has three pets of her own; one Labrador named Lucy and two cats named Simon and Jake. In her free time, she enjoys running, hiking, playing tennis and traveling. Something unique that clients and co-workers may not know about Linda is that she won first place in the Mid-Hudson Valley 5 mile Turkey Trot in 1987. 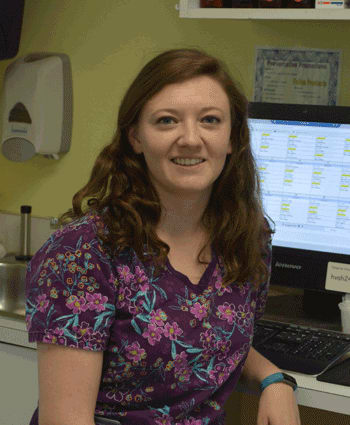 Sarah started working at Hidden Valley in January of 2017 as an extern with Central Carolina Community College and officially joined the team in May of 2017. She received a Bachelors degree in Biology at UNC Chapel Hill and an Associates degree in Veterinary Technology at Central Carolina. Sarah was born and raised in Cary, North Carolina. What draws Sarah to working with animals is getting to meet every patient and when they give the big sad eyes that are begging for treats she cannot say no to them! When Sarah is not at work, you can find her playing computer games, most recently Final Fantasy 14, and she enjoys reading all things Harry Potter and Star Wars. Vanessa joined Hidden Valley in 2013. She has a BS in zoology from NC State with a minor in Psychology. She is currently enrolled in the Penn Foster Vet Tech program. Vanessa and her husband Michael spend weekends backpacking and hiking, or going on trail runs and training for half marathons. Tripp and Zombie are their four footed kids. Tripp is an Australian Cattle Dog mix and Zombie is a gray and white domestic medium hair (the cat is pretty convinced he is a dog). Vanessa is another of our team members who have been vegetarian for many years. When it comes to work, Vanessa enjoys being able to help figure out why animals feel ill and making them feel better. She also enjoys helping owners better understand their pets so they can have the best relationship together! 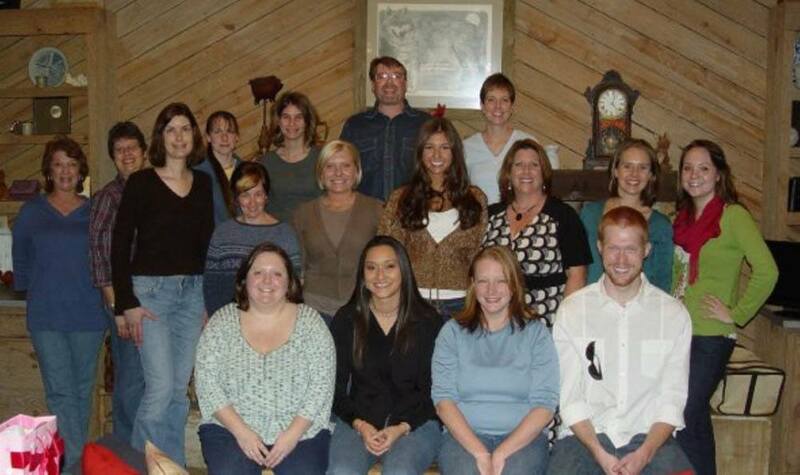 Alexxis grew up in Goldsboro and Pikeville, North Carolina and earned a B.S. in Biology from Mount Olive College, then moved to Raleigh to take a semester at NCSU to study animal anatomy and nutrition. Alexxis joined our team in 2008 and enjoys being surrounded by animals on a daily basis as well as being able to treat and prevent illness in the pet population. She has a Lab/Pitbull mix named Apollo, three cats named Pandora, Penelope and Midge, a chinchilla named Yoshimoto and a crested gecko named Kakarot. When not working, she and her husband, Anthony, enjoy going to amusement/theme parks. Alexxis also owns her own pet care business, Capital City Pet Care. Madeline joined the Hidden Valley team in 2013. She graduated from NC State University with a degree in Zoology for which she received a Bachelor’s in Science. She is also currently enrolled in Veterinary technician school through Penn Foster. Madeline is a native of Raleigh and resides with her husband Isaac and her puppy Gizmo, an adorable pug! 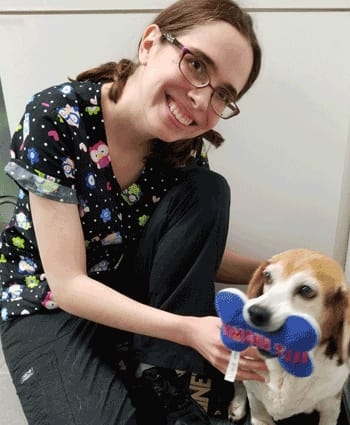 Madeline enjoys working in the veterinary medicine field because she gets to be a part of all the interesting cases that come through the door. She also likes helping people gain a better understanding of their pets and how they communicate. When Madeline is not at work you can find her reading, playing with her puppy, cooking or baking. Krista joined the Hidden Valley team as a groomer in August of 2018. She graduated with a degree in social work with the intent of working in hospice care. She started grooming while in college and found after graduation she couldn’t leave her new found love! Her love of grooming stems from being able to spend all day with dogs and she loves knowing she is making what can be a scary experience for most pets a very relaxing and fun moment. Krista grew up in the Boston area with two brothers and a German Shepherd. Her current menagerie includes Dozer a Boston Terrier, Darla a Pit Bull, Ella a Pit Bull, and Luca a young Belgian Malinois. Krista enjoys hanging out with her husband and the dogs, whether it is camping and hiking or curled up on the couch watching a good movie. She and her husband were married in October of 2017 and she says her dogs are her children! Krista is vegan and used to volunteer to work with farm animals for children’s therapy! 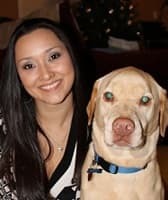 Lauren grew up in Honolulu, Hawaii and has been with Hidden Valley Animal Hospital since 2005. She enjoys helping co-workers as well as being with the animals. She owns three pets: Maxwell, a Tuxedo Domestic Short-haired cat; Scooter, a yellow Labrador; and Jelly Bean, a Siamese mix. In her free time, she likes to hang out with friends and work on Sudoku puzzles. Anna graduated from Fletcher Academy in 2005 and went on to attend Wake Technical Community College. She began her role as Animal Care Specialist at Hidden Valley Animal Hospital in 2010. Her favorite part about working in Veterinary Medicine is interacting with all of the animals and her co-workers. When not at work, Anna enjoys going to football games, playing with animals, spending time with family and surfing Facebook. Lynn has been a part of the Hidden Valley team since the summer of 2015. Prior to working the Animal Healthcare industry, she had ten years of experience in Early Childhood Development. She is a native of North Carolina where she currently resides with her Husband Gray and her two pets, Lucy and Natalie. Lucy is a Boxer mix who loves to cuddle and Natalie is a Domestic Shorthair cat that loves no one except for her husband. 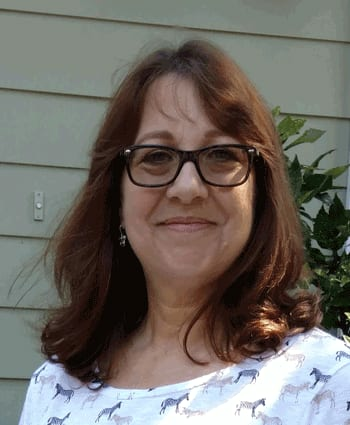 Lynn has a passion for nurturing animals and enjoys the unconditional love and loyalty of those animals she takes care of as a kennel attendant. She also really enjoys getting cold nose kisses from puppies anytime she wants! When she is not working at Hidden Valley, Lynn is spending time with her husband and family, reading, and spending time at the beach!